Hello everyone! Today I am thrilled to be guest-posting over at Sunshine Bloggers ! Sunshine Bloggers is a site for all Florida bloggers to come together! 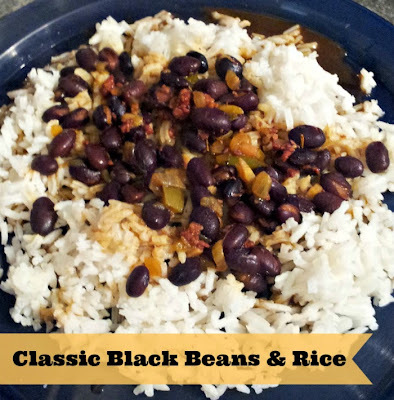 Today I am sharing a Cuban classic: Black beans and rice. Head on over and check it out! Thanks Jennifer! I missed the linkup but will definitely post next Friday! That's great! Thank you for sharing the recipe at the Weekend Show Off Blog Party! My husband and I love black beans and rice, although I've never tried making the dish at home. Thank you for sharing your recipe.